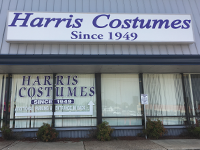 Harris Costumes has served the Fort Worth, Texas, area with personal, friendly service since 1949. For all these years, we've been providing fully accessorized costumes at a reasonable price, and we do all we can to ensure your complete satisfaction. As an authorized dealer for Ben Nye stage makeup, we're the costume store in Fort Worth, TX, that theaters and small productions turn to for their costume rental needs. We specialize in theatrical-style costuming for the stage, but we also cater to the public and offer individual rentals for holidays and special events. 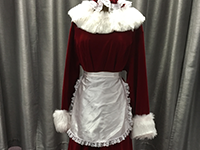 If you’re wondering, “Where can I find a Santa costume near me?” you’ve come to the right place. We have over 20,000 garments available, and our selection grows every day. 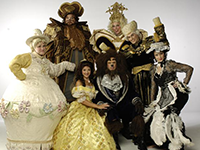 We can capably costume hundreds of shows, including a full-cast production of Beauty and the Beast and Mary Poppins. We have recently begun shipping our costumes and accessories nationwide, allowing us to serve a growing national need for spectacular costumes. Contact us today for help from professionals who specialize in theatrical costuming and ask about our individual and special event rentals. Find the perfect costumes for your next show or events. Harris Costumes was established in 1949 by the Harris family. 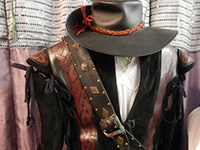 They began by building costumes for country Western stars and were quickly asked by the Fort Worth Chamber of Commerce to bring their business there. The business branched out from Western-themed costuming from there, developing a unique selection of clothing that was beloved throughout the theatrical world. Contact us now for authentic, show-quality clothing that you'll love.